Ornate hidden cottage in St James\'s Park. 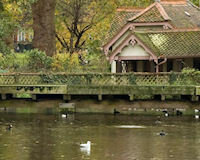 Description: Hidden from public eyes is Duck Island, dating from the original use of St James's Park as a hunting park. Charles II converted it to a baroque park and created the post of 'Governor of Duck Island' and William III had the first lodge built. It was destroyed in 1771 and rebuilt after 1840, as a Picturesque cottage designed by John Burges Watson. In 1953 it was nearly demolished but, instead, was preserved by Royal Fine Art Commission as a keeper's cottage. 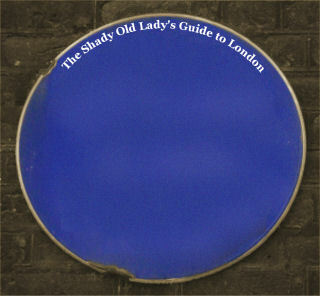 In 1994 it became the headquarters of the London Historic Parks and Gardens Trust.